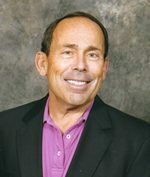 A Roger Lipton Update – Roger is an investment professional with decades of experience specializing in chain restaurants and retailers, as well as macro-economic monetary developments. He turns his background, as restaurant operator and board member of growing brands, into strategic counsel for operators and perspective for investors. 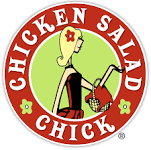 Chicken Salad Chick, based in Auburn, Alabama, was formed in 2008, by Stacy Brown. Stacy was a stay-at-home mom and self-proclaimed connoisseur of chicken salad who began the business by selling chicken salad made from her home kitchen. She was eventually shuttered by the local health department for selling food from an un-approved facility. She then joined her future husband, Kevin, who left a career in software sales, to help build the foundation for multiple corporate locations and future franchise growth. In terms of equity ownership, in early 2015, Eagle Merchant Partners (“EMP”), an Atlanta, GA based private equity firm, purchased the majority ownership of the company. Kevin Brown, tragically, succumbed to colon cancer in 2015 at the age of 40. Before his death however, Kevin was instrumental in negotiation of the PE transaction, and he also helped establish the Chicken Salad Chick Foundation, which raises funds for cancer research and feeding the hungry. In conjunction with that transaction, Russ Umphenour and Scott Deviney become chairman and President/CEO, respectively. Both are highly respected industry veterans. Mr. Umphenour was the CEO of Focus Brands (parent of Moe’s, Auntie Anne’s Pretzels, and others), and before that ran RTM Restaurant Group, the Arby’s franchisee that he founded. Mr. Deviney was CEO of SDZ (a multi-unit Wendy’s franchisee) and SVP with SunTrust Bank, specializing in the restaurant industry. Over the last several years, the management team has obviously been broadened further to support the ongoing rapid growth. Stacy Brown, the cultural creator of Chicken Salad Chick remains a prominent spokesperson and brand voice, as well as a shareholder. Originally a drive-thru and takeout only operation, the menu was expanded and sit-down facilities were added as additional stores opened. With franchise operations beginning in 2012, 29 units were open by the end of 2014, with contracts for an additional 114 locations. The comfortable family oriented decor is combined with a creative and modestly priced menu, featuring over a dozen varieties of made from scratch chicken salad plus pimento cheese and egg salad, as well as fresh sides, salads, soups and sandwiches. Chicken Salad Chick ended calendar 2018 with 104 locations operating—74 franchised and 30 company operated. There were 21 franchised locations and five company stores opened in 2018. When EMP purchased the business in May 201, there were 32 stores in the system, so growth has been dramatic over the last four years. The 104 locations are now located within twelve states—ALA, GA, FLA, NC, SC, TN, MS, LA, TX, KY, AK, OK. It is expected that 45 locations will have opened in 2019, 13 of them being company operated. It has so far not been necessary to advertise for franchisees, as the curb appeal of the physical unit combined with the menu and employee culture, as well as attractive unit level economics have generated more than adequate franchise interest. According to the most recen Franchise Disclosure Document: The stores are about 2750 square feet in size, generally located in strip malls, costing an average of about $450,000 in total to establish, including up front franchise fees. Much of the franchise appeal is the operational simplicity, which in turn generates attractive unit level economics. The equipment package is basic, with a steamer to cook the chicken (everything is prepared daily in the restaurant), food processors, refrigerated sandwich tables, a walk-in cooler, reach-in freezer, water filtration system, toaster and Quick Chick refrigerated case. The absence of fryers (which must be vented) reduces construction costs, creates site flexibility as well as relative desirability as a tenant. The entire package of furniture and fixtures cost around $120,000. The up front franchise fee is $50,000 per unit, the ongoing royalty is 5% of sales with an additional national advertising contribution of 1.5%. Last twelve months’ AUV was $1.2M in 2018, growing by about 9% in 2016, 13% in 2017 and 11.2% in 2018. Same store sales were up 15% in 2016, 8% in 2017 and 4% in 2018. Traffic has also been up consistently, most recently up 2.9% in 2018. The sales improvement is especially impressive within a restaurant industry that has been challenged in this regard. It is noteworthy that only about 45% of sales are dine-in, the balance being takeout (25%) and catering. Dine-in and takeout sales combine to provide a ticket average of $14.82. Also important: Drive through locations generate 27% more sales than without. 31% of the current system has drive through windows, and 40% of the planned locations will have them. While the company makes no unit level profitability claims, our analysis indicates that franchises are likely earning at least 15% EBITDA (after royalties) at the store level. With sales now running at about $1.2M per unit, that would generate a “cash on cash” return of $180,000, or 40% on the $450,000 investment including franchisee fee, among the best returns in the franchised food industry. We emphasize: this is our analysis, not their claim. Chicken Salad Chick continues its smart and rapid growth with no obvious impediments. While still relatively small, with only 104 units system-wide, franchisees are “voting with their pocketbooks,” and opening stores at a rapid rate. The concept seems “defensible” in terms of product line differentiation, combined with an employee “culture” reflecting the “chick” founder, but an operational simplicity that allows for fairly rapid growth. We look forward to following this company’s future development.